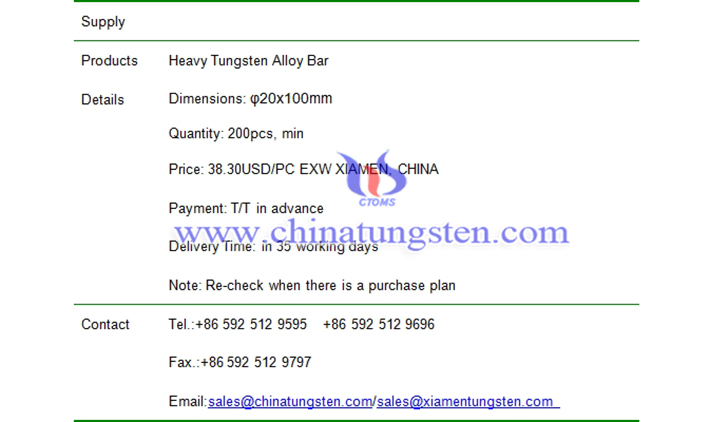 φ20x100mm heavy tungsten alloy bar price is 38.30USD/PC on Dec. 07, 2018. 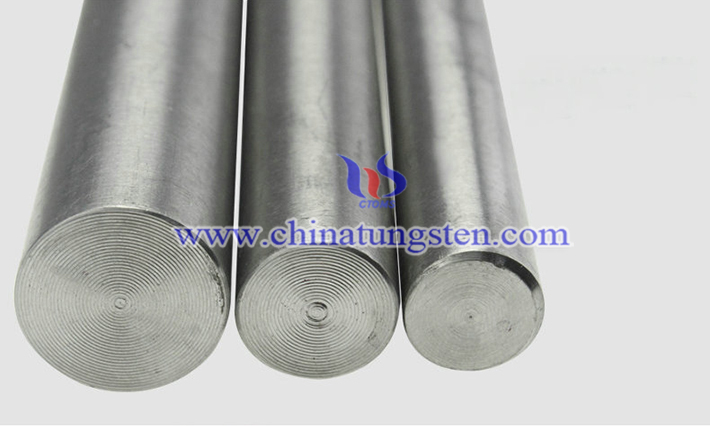 Heavy tungsten alloy are often used in making tungsten alloy bar because it has a higher density ranging from 16.5 to 18.5 about 50 percent higher than lead and much higher than lead. It is easily machined, so that designers can decide their favorable shape without worried about the property. Then tungsten alloy is less prone to chipping and breakage with good extensibility. In addition, it has high melting point, so in the high temperature, other metal starts melting while tungsten alloy keeps its property.